Deep in the heart of Mexico City, where five houses cluster around a sun-drenched courtyard, lives Ana, a precocious twelve-year-old who spends her days buried in Agatha Christie novels to forget the mysterious death of her little sister years earlier. Over the summer she decides to plant a milpa in her backyard, and as she digs the ground and plants her seeds, her neighbors in turn delve into their past. The ripple effects of grief, childlessness, illness and displacement saturate their stories, secrets seep out and questions emerge -- Who was my wife? Why did my Mom leave? Can I turn back the clock? And how could a girl who knew how to swim drown? Laia Jufresa was born in Mexico City. 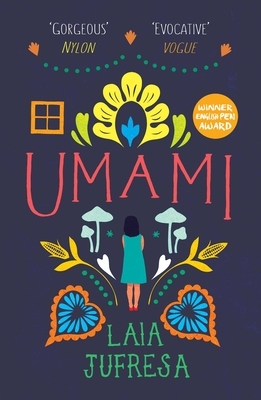 Laia's work has been featured in several anthologies and magazines such as Letras Libres, Pen Atlas, Words Without Borders and McSweeney's, and she was named one of the most outstanding young writers in Mexico as part of the project Mexico20. In 2015 she was invited by the British Council to be the first ever International Writer in Residence at the Hay Festival of Literature. She currently lives in Cologne, Germany. Sophie Hughes is a literary translator and editor living in Mexico City.